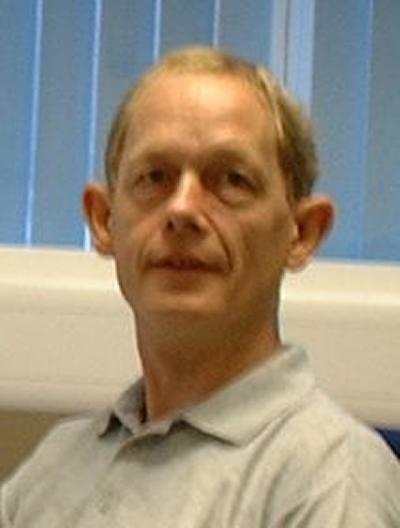 Dr Rodney Self is a Professorial Fellow in Aeroacoustics within Engineering and Physical Sciences at the University of Southampton. Rod Self graduated with a first-class honours in Mathematical Physics and then joined the Royal Navy. After completing his commission he returned to academia and obtained an MSc followed by a PhD in Industrial Applied Mathematics at the Mathematics department of the University of Southampton. On completion he moved to the Institute of Sound and Vibration Research to take up a Research Fellow position. He is currently a Senior Lecturer. Rod Self’s research interests centre on aircraft noise. In particular he is interested in developing robust methods that can be used by industry to predict the noise produced by turbo-fan engine exhausts and other engine components. He also studies methods to predict noise around airports and how people who live nearby react to it. Currently, Rod Self is the Deputy Director and Manager of the Rolls-Royce University Technology Centre in Gas Turbine Noise where he leads the jet noise team and leads the UTC’s involvement in a number collaborative aircraft noise research projects with both UK and European partners. He has links with several Brazilian universities and is a partner in the Aeronave Silenciosa (Silent Aircraft) project. Rod oversaw the development of the UTC’s Doak facility for testing jet and valve noise. He has sat on several technical and advisory committees including the recent ACARE (Advisory Council for Aviation Research and Innovation in Europe) working group defining the Flightpath 2050 targets for aircraft noise. Rod Self carries out research into how aircraft noise is produced, predicted and assessed. He is Deputy Director and Manager of the Rolls-Royce University Technology Centre in Gas Turbine Noise that undertakes research into all aspects of aircraft engine noise and he leads the UTC’s involvement in a number collaborative aircraft noise research projects with both UK and European partners. He is particularly interested in helping industry design quieter engines by developing robust methods that can be used to predict the noise from exhausts and other engine components. This involves a range of experimental, theoretical and computational studies. Current work being undertaken focusses on developing a prediction methodology for the noise produced when exhaust jet flow mixes with the ambient air and how the noise varies depending on the design of the engine nozzle and how the engine is mounted under the wing of the aircraft. These studies involve experimental investigations at the Institute of Sound and Vibration Research’s Doak Laboratory as well as theoretical studies. Methods for predicting jet noise are also applicable to several other problems and one of these is in understanding how to design better silencers for valves. Aircraft engines have control valves known as bleed valves that, because of the high pressure differences involved, can be very noisy and designing silencers that are light and able to fit into small space available on engines is a difficult task. Undertaking a series of experiments on bleed valves within the Doak Laboratory allowed Rod and his team to develop methods that have led to considerable improvement in bleed valve silencers. Rod Self also studies methods to predict noise around airports and how people who live nearby react to it. Why Do Wings Make Engines Noisier? 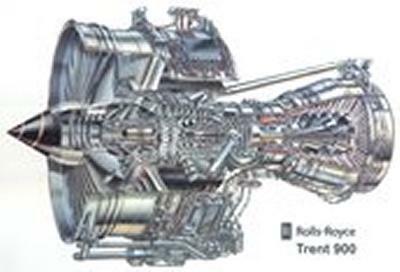 The jet that emanates from a turbo-fan engine is a major contributor to aircraft noise. This project seeks to understand how such is produced and develop tools to predict it. Torija, A. J., Roberts, S., Woodward, R., Flindell, I., McKenzie, A., & Self, R. H. (2019). On the assessment of subjective response to tonal content of contemporary aircraft noise. Applied Acoustics, 146, 190-203. Self, R. H. (2006). A model for anisotropic polymer gels. Journal of Sound and Vibration. Self, R. H. (2006). Jet noise prediction using the Lighthill acoustic analogy II. Journal of Sound and Vibration. Synodinos, A., Self, R., & Torija Martinez, A. (2018). Evaluation of environmentally optimal descent and take-off slopes for existing and novel aircraft. In The Euronoise 2018 Proceedings Crete: European Acoustics Association. Torija, A. J., & Self, R. H. (2018). Representative-in-class vehicles for fleet-level aviation noise analysis. In 25th International Congress on Sound and Vibration 2018, ICSV 2018: Hiroshima Calling (Vol. 2, pp. 1264-1271). International Institute of Acoustics and Vibration (IIAV). Synodinos, A., Self, R., & Torija Martinez, A. (2017). Noise assessment of aircraft with distributed electric propulsion using a new noise estimation framework. Paper presented at 24th International Congress on Sound and Vibration, London, United Kingdom. Synodinos, A., Self, R., Martinez, A., & Flindell, I. (2016). A new method for estimating community noise changes due to aircraft technology variations. Paper presented at 23rd International Congress on Sound & Vibration, Athens, Greece. Torija, A. J., Self, R. H., & Flindell, I. H. (2016). Evolution of noise metrics in future aviation scenarios in the UK. Paper presented at 23rd International Congress on Sound & Vibration, Athens, Greece. Torija, A. J., Self, R., & Flindell, I. (2016). On the CO2 and noise emissions forecast in future aviation scenarios in the UK. Paper presented at 45th International Congress and Exposition on Noise Control Engineering, INTER-NOISE 2016, Germany. Synodinos, A., Self, R., Flindell, I., & Martinez, A. J. (2015). Estimating variation in community noise due to variation in aircraft operations. 353-358. Paper presented at 10th European Congress and Exposition on Noise Control Engineering (EURONOISE), Netherlands. Torija, A. J., Flindell, I. H., & Self, R. (2015). Frequency weightings based on subjectively dominant spectral ranges. 1645-1649. Paper presented at 10th European Congress and Exposition on Noise Control Engineering (EURONOISE), Netherlands. Kingan, M. J., & Self, R. H. (2011). Open rotor tone scattering. Paper presented at 17th AIAA/CEAS Aeroacoustics Conference, . Ilario da Silva, C., Meneghini, J., Azarpeyvand, M., & Self, R. H. (2011). Refraction effects on far-field noise predictions and sources distribution of coplanar coaxial jet flows. Paper presented at 17th AIAA/CEAS Aeroacoustics Conference, . Azarpeyvand, M., Gabard, G., & Self, R. H. (2011). Sound radiation from a semi-infinite annular duct due to a monopole source. Paper presented at 17th AIAA/CEAS Aeroacoustics Conference, . Illario, C. R., Meneghini, J. R., Azarpeyvand, M., & Self, R. H. (2010). A ray tracing method applied to the propagation of jet noise. Paper presented at 17th International Congress on Sound and Vibration (ICSV), Cairo, Egypt. Almeida, O., Barbosa, J. L., Azarpeyvand, M., & Self, R. H. (2009). Aeroacoustics of single subsonic jets: validation and industrial application. In Proceedings of 16th International Congress on Sound and Vibration Kraków, PL: International Institute of Sound and Vibration. Kingan, M. J., & Self, R. H. (2009). Counter-rotation propeller tip vortex interaction noise. Paper presented at 15th AIAA/CEAS Aeroacoustics Conference (30th AIAA Aeroacoustics Conference), . Azarpeyvand, M., Battaner-Moro, J., & Self, R. H. (2009). Jet noise source distribution for coplanar nozzles: experiments and predictions. Paper presented at Euronoise 2009, . Almeida, O., Barbosa, J. R. M., & Self, R. H. (2009). Revisiting the role of anisotropy for jet noise modelling. In Proceedings of the 15th AIAA/CEAS Aeroacoustics Conference (30th AIAA Aeroacoustics Conference) (AIAA-2009-3319). Reston, USA: American Institute of Aeronautics and Astronautics. McLaughlin, P., Self, R., Strange, P., & Wrighton, C. (2008). High frequency jet noise installation for an under wing mounted aircraft. Paper presented at Proceedings of the 14th AIAA/CEAS Aeroacoustics Conference (29th AIAA Aeroacoustics Conference), . Azarpeyvand, M., & Self, R. (2008). Noise prediction of a shortcowl jet using energy transfer rate time-scale. Paper presented at Proceedings of the 14th AIAA/CEAS Aeroacoustics Conference (29th AIAA Aeroacoustics Conference), . Azarpeyvand, M., Self, R. H., & Vedy, E. (2006). Theoretical and analytical comparison of stochastic noise generation and radiation (SNGR) method and acoustic analogy using a new timescale. 368-369. Paper presented at Institute of Acoustics Spring Conference 2006: Futures in Acoustics: Today's Research - Tomorrow's Careers, . Battaner-Moro, J. P., & Self, R. H. K. R. (2004). A study of the effects of atmospheric conditions and microphone position in open-air aircraft noise tests. 12. Paper presented at 10th AIAA/CEAS Aeroacoustics Conference, . Page, G., McGuirc, J., Hossain, M., Self, R., & Bassetti, A. (2003). A CFD coupled acoustics approach for coaxial jet noise. Paper presented at 9th AIAA/CEAS Aeroacoustics Conference and Exhibit, . Self, R. H., & Bassetti, A. (2003). A RANS based jet noise prediction scheme. Paper presented at 9th AIAA/CEAS Aeroacoustics Conference and Exhibition, . Astley, R. J., Fisher, M. J., Holland, K. R., Joseph, P. F., McAlpine, A., Self, R. H., & Wright, M. C. M. (2002). 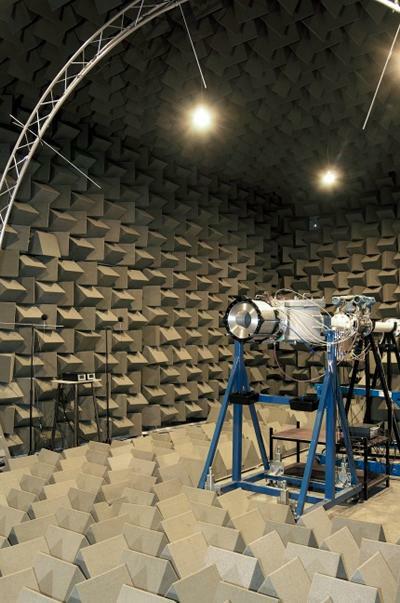 Research in aero-acoustics at the ISVR. Paper presented at Institute of Acoustics Spring Conference 2002, Past, Present and Future Acoustics and EPSRC Theme Day in Acoustics, . Self, R. H., & Joseph, P. F. (Eds.) (2007). Proceedings of The Queen's Anniversay Prize Workshop on aircraft jet and broadband noise. (ISVR Technical Memorandum; No. 969). Southampton, UK: Institute of Sound and Vibration Research, University of Southampton. Self, R. H. (2005). A RANS CFD coupled model for predicting coaxial jet noise. (ISVR Technical Report 304; No. 304). Southampton, GB: University of Southampton.